It's pretty safe to say I'm not your typical professional photographer. While most photographers in this industry are known for specializing in one thing, I on the other hand have specialties in a several fields! Born on the East Coast of Canada where I graduated from Saint Mary’s University with a Bachelors of Commerce and Certificate in Human Resource Management. 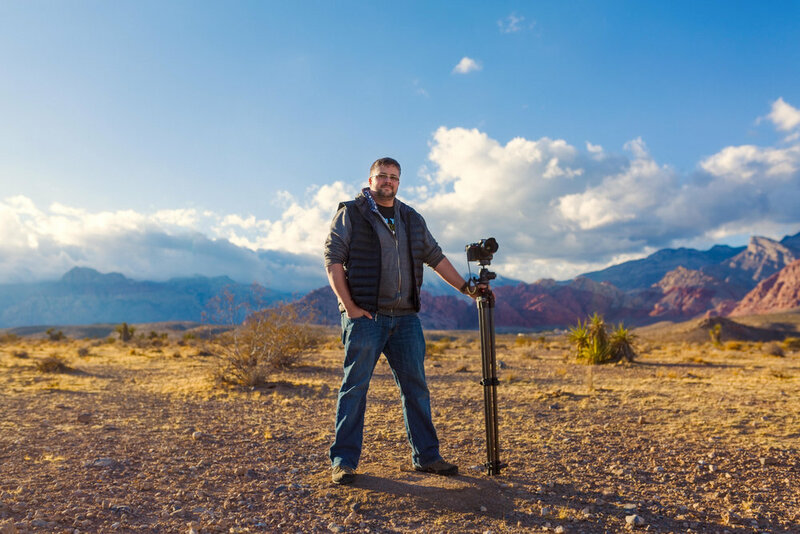 With a career spanning multiple industries from Legal to Information Technology in both Canada and the United states, it took the loss of a great friend and a push from another to make the career change into Photography. I had grown up a musician with a love for film and art, so photography was a natural progression. A few years after taking my first "real" photos, I'm now proudly residing in Las Vegas, Nevada shooting Freelance, creating educational content for Manfrotto & Macphun, as well as writing for Photofocus, Fstoppers, and Resource magazine. In the past few years, I've served as Chapter Vice Presidents of both the American Society of Media Photographers and the Professional Photographers of America, was a featured artist for RAW; Natural Born Artists, received 2 diplomas in Film making, was the business development manager for Phlearn, and have won multiple awards for Photography including the American Photographic Artists People Choice & the Victor Award for Outstanding Image of the Year from the PPA. My Film Noir series of images even inspired an episode of Warehouse 13 on the SyFy network!!! !